At the end of February, we wondered how March would arrive…lion or lamb. Well, we got our answer on March 2, when our lion roared up with his snowy white mane and gave us a few inches of the fluffy stuff. The lion didn’t stick around long, though, because it melted away by week’s end. But it was quite pretty while our lion was here! 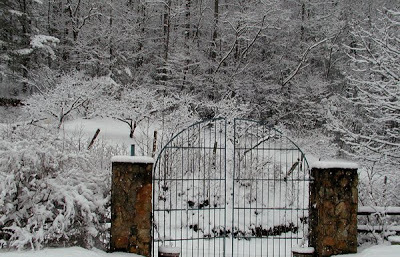 You can see more photos of our snow day on our B&B Facebook page. We look forward to March heading off like a lamb in a few weeks and bringing us a beautiful Spring here in the mountains. 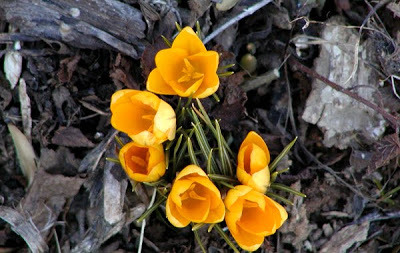 The 10-day forecast is calling for some rain, which should help our little Spring flowers, like these, our latest sunny yellow crocus blooms, to be happy… even if a lion shows up again.